My sister and i are obsessed with this scene. It’s me… remember me? It’s been quite a while, I know. Life somethings just has a way of taking everything you know and are comfortable with… and flipping it upside down. The first quarter of 2014 has been an extremely difficult one for Dave and I and our families (yes, despite the fact that we’re GETTING MARRIED!!! OMGGGGG) and my dear little wonderful food blog has taken quite a hit. 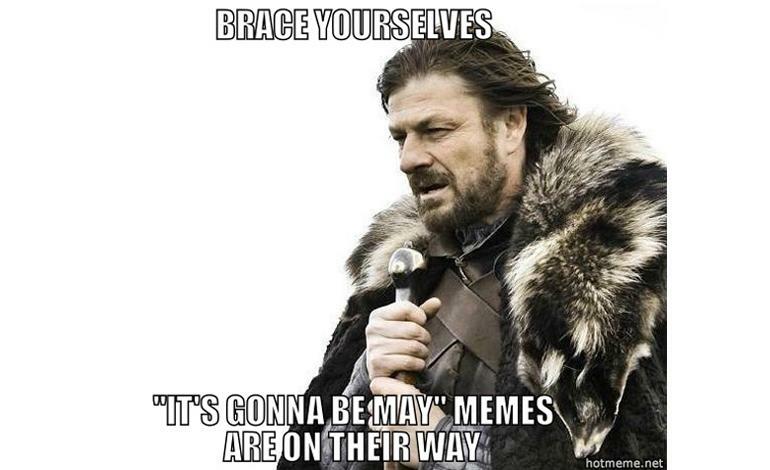 Well… it’s freakin’ May and I’m over it! Here I am and I am back for good. I am pretty excited to share my first recipe in two months with you… while it may seem simple, this “amazingly easy” recipe was a big deal for me! I have ALWAYS been too nervous to try to bake my own breads or pretzels or challah or anything that used yeast. I am not the best at following directions and I always feared that I would totally botch whatever yeast project I started. Well, for this month’s Secret Recipe Club, I decided to go “all in” and give it a shot. The Secret Recipe Club is an amazing group of bloggers where every month, we are assigned a new blogger to replicate. We get to pick ANY recipe that blogger has written about and cook it up ourselves. We can make adjustments according to our tastes too. All of the bloggers post their results on the same day and we all get to see who had who and more importantly, what delicious recipes were made! 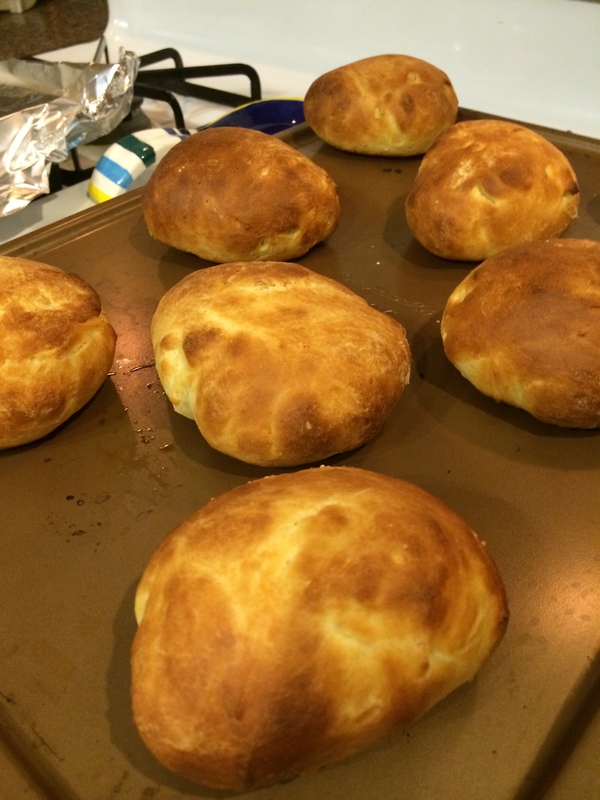 The “SRC” has been an awesome resource for me and a place where I come to try new things… in this case… yeast bread! 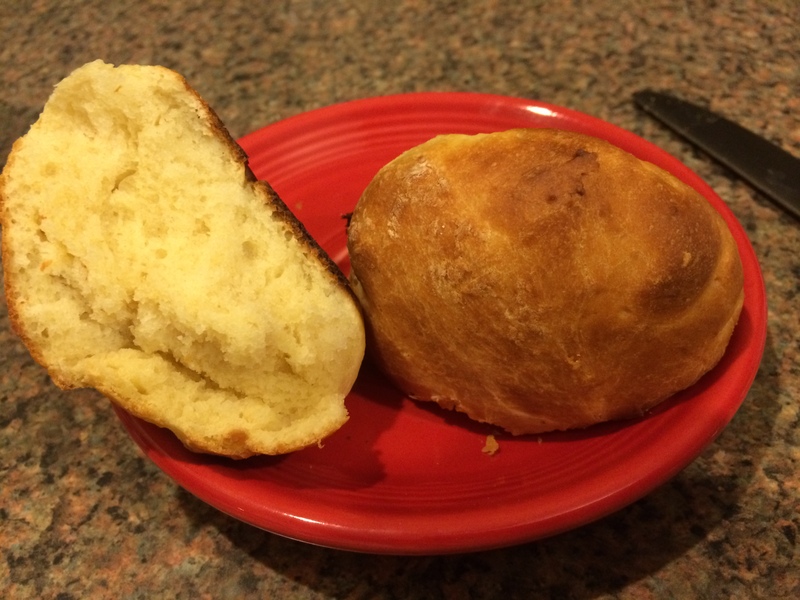 But my decision was made… I just had to try her “amazingly easy” yeast rolls. I was up for the challenge. I WILL follow the directions and not mess this up. Heat milk, water, sugar and salt in a saucepan over low heat until warm (about 120 degrees), remove from heat and mix in the eggs and yeast. Place 5 cups of flour in a large lidded bowl (I listened to Micha and used my crockpot since it was big enough and had a lid). 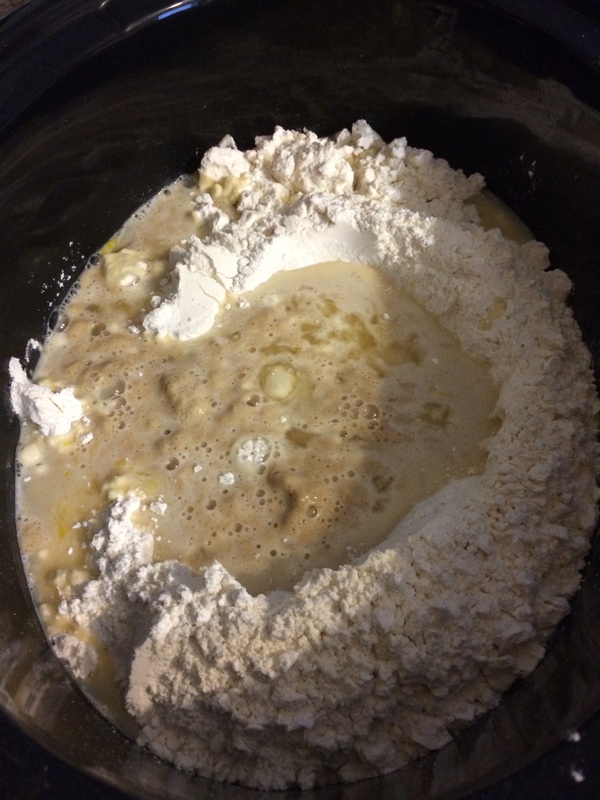 Make a well in the center and pour in the warm liquid and yeast mixture. Do not stir. Cover with the lid and let sit 20-30 minutes. 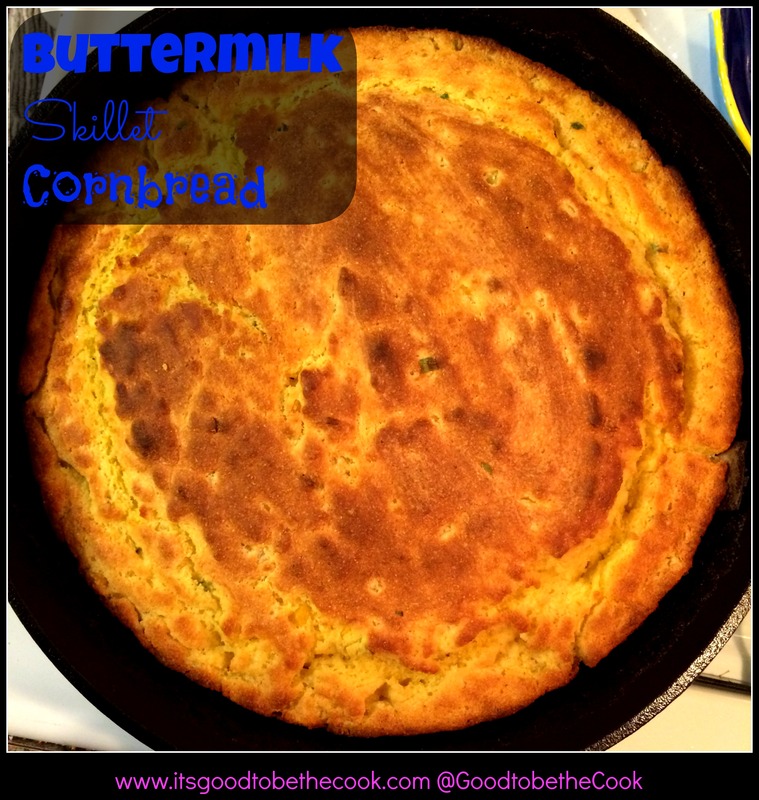 Pour in the melted butter and mix well. Add flour if sticky until a soft but no longer sticky dough is formed. Knead several times (i almost missed this part!). Place back into bowl and cover again with lid. 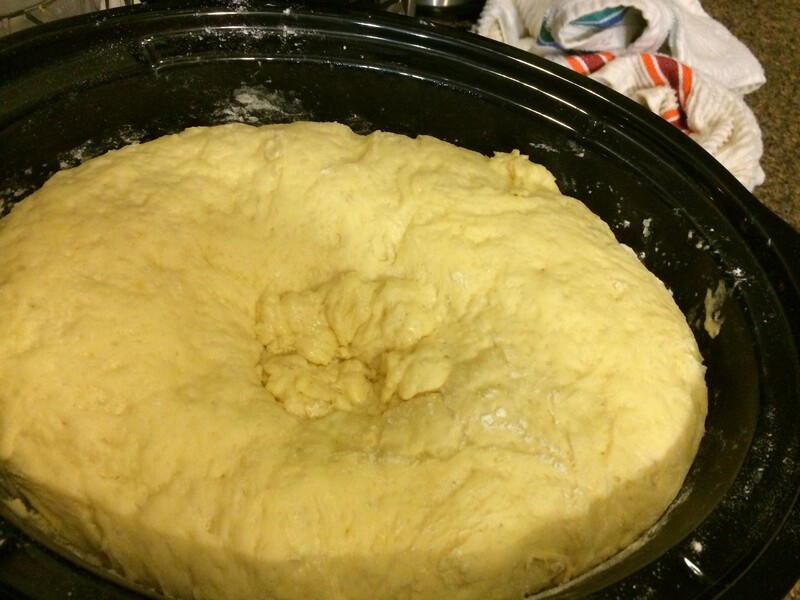 Let the dough sit for another 20-30 minutes. Preheat oven to 400 degrees. Divide dough into 12-16 pieces depending on how large you want your final roll. 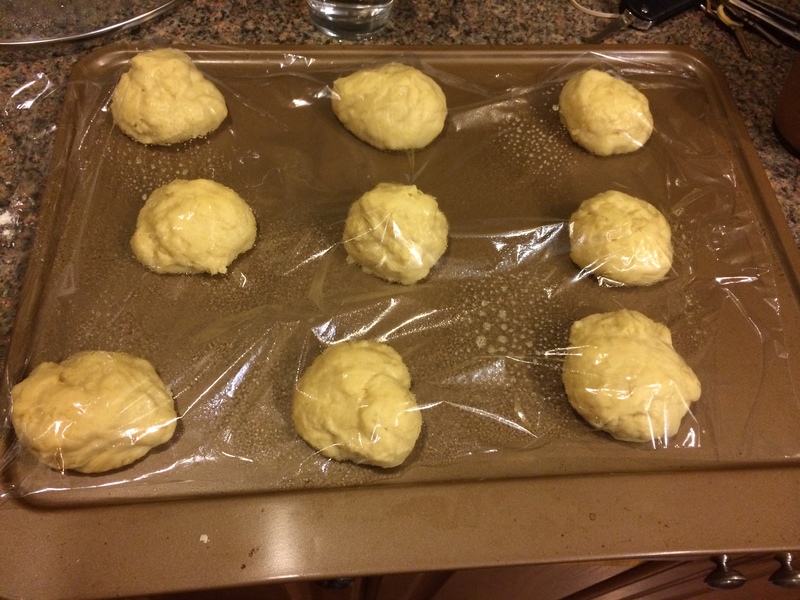 Shape into balls and place on baking sheet(s) cover with a damp tea towel or a greased piece of plastic wrap and let rise 20-30 minutes. Bake for 15 minutes or until done. Just poured the hot yeast mixture into the flour. This is after the second time you let the dough sit. 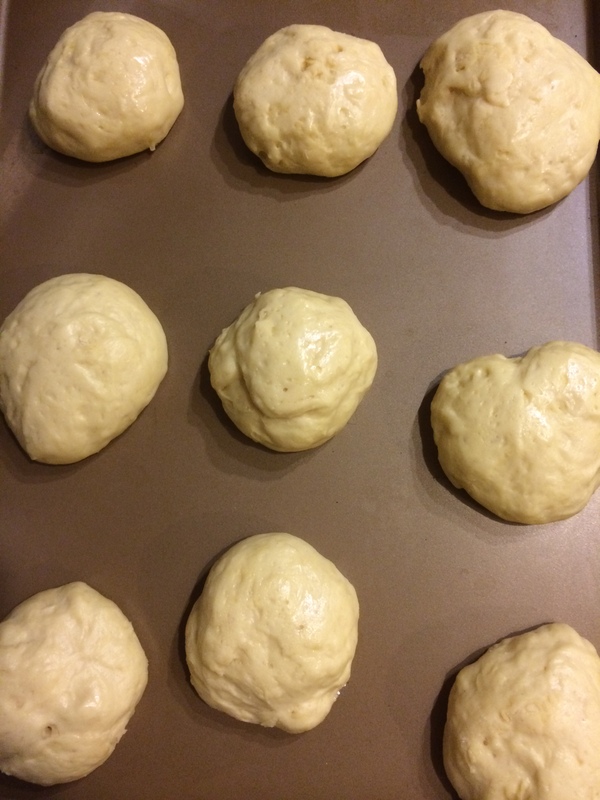 (After first stirring, and after adding melted butter and extra flour)… now it’s on to making rolls! Rolls are a little bigger now and ready to bake! I cannot even tell you how happy I was that these turned out just right. I sat in front of the oven staring at them as they slowly rose and then browned ontop. I just couldn’t believe it! You guys HAVE to try to make these. – I used my regular cookie sheets with nothing on them and had ZERO sticking problems. The rolls popped right off. 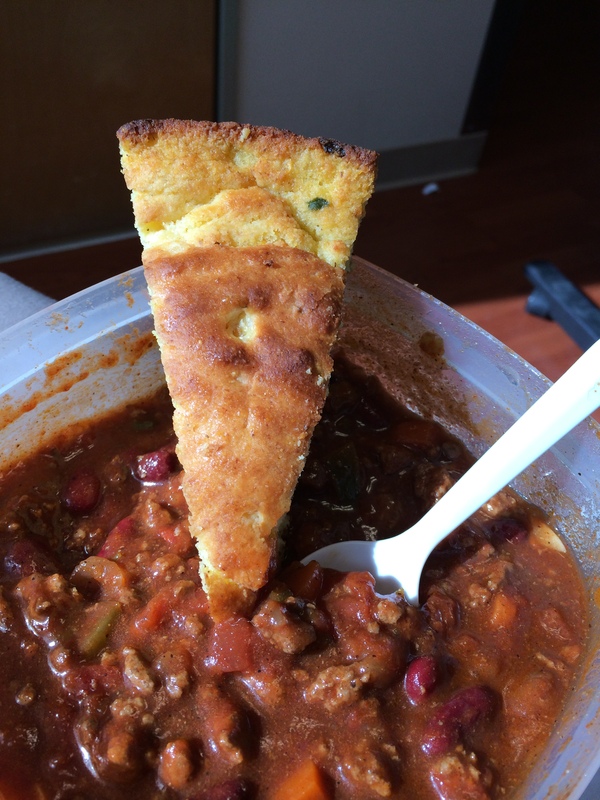 -Use a REALLY big bowl if you don’t have a crock. It filled up most of the crock as it rested. Add some butter and call it a day. 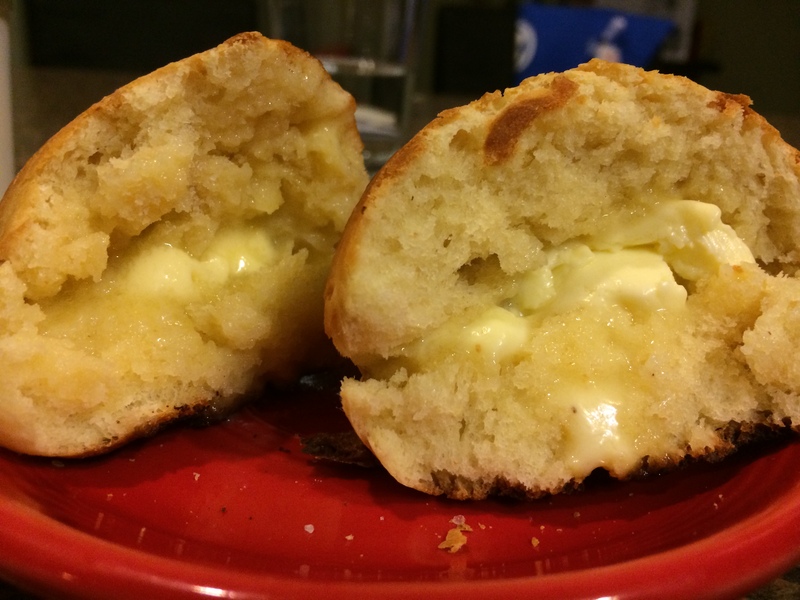 Well, now that I have come back to you and conquered the basic yeast roll… I will shut up and let you take a gander at what everyone else has made for this month’s SRC! ENJOY! I’m hoping you’re reading the title of this post and having the same reaction I did… WHATTTTT?!??!! 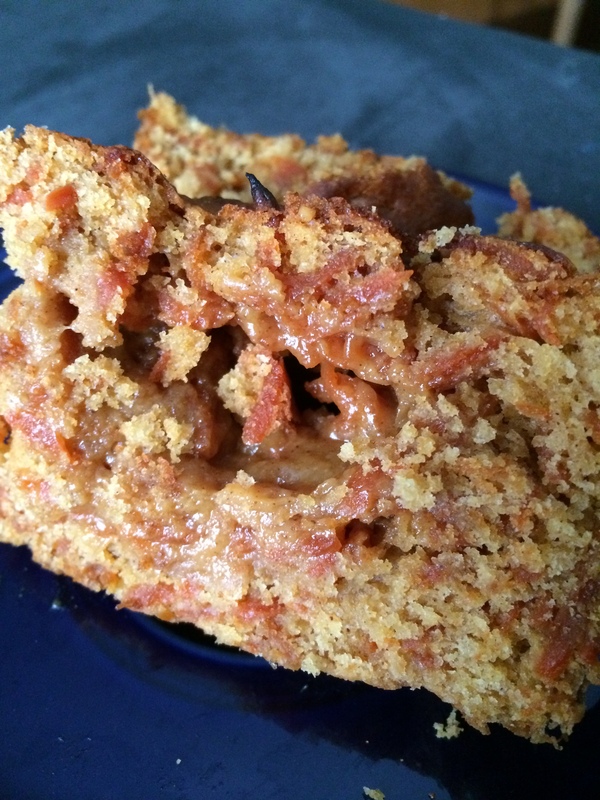 When I read about this recipe on my SRC partner’s blog… I was just amazed. I don’t think I can personally ever be so creative. What an awesome recipe. Whoa. I just had to try it. After a month off, I’m back on with the Secret Recipe Club. For those of you who haven’t checked it out before, please do! 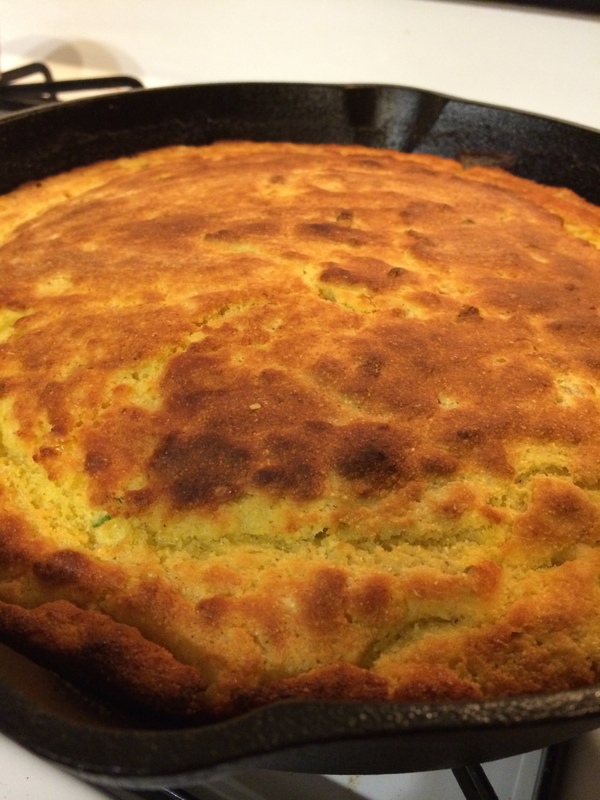 The Secret Recipe Club (or the SRC) has been a really fun way to encourage me to try new recipes and connect with new bloggers. Each month, everyone in the club gets an assignment to check out another blogger’s page. We then pick ANY of their existing recipes and make them ourselves! Then, on reveal day (today), we all post about our findings and experiences. I have made some of my favorite recipes EVER from some of my paired blogs (check out THIS one… omg). it’s as good as it looks. Prepare a loaf pan with cooking spray. Add ¼ cup sugar and 1 Tablespoon of water to a saucepan. Bring to the boil and cook on high heat until the sugar turns dark red. It will happen- I promise. (I used a rubber spatula) Stir and don’t let it burn! 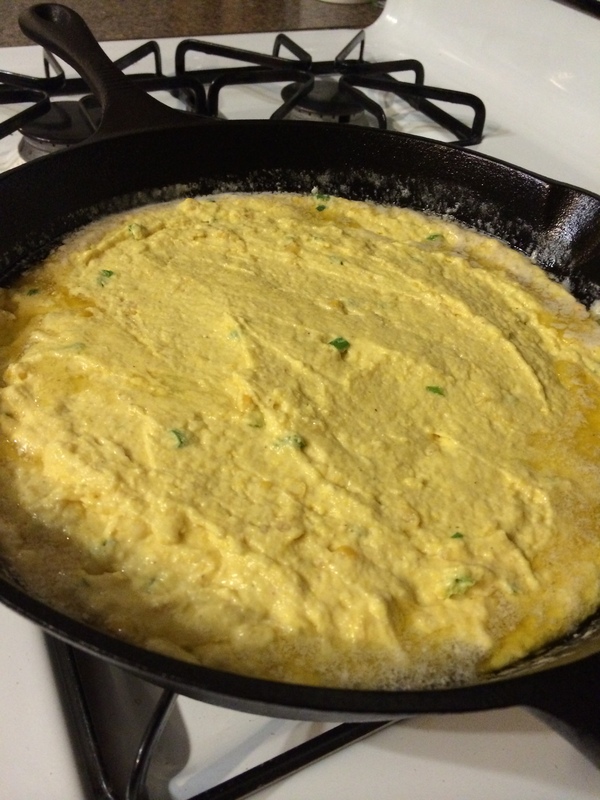 In a bowl beat ¼ cup sugar and eggs until the sugar dissolves. Add to the carrot mixture together with milk and mix well. In a separate bowl, combine the flour, cinnamon, baking powder and salt. 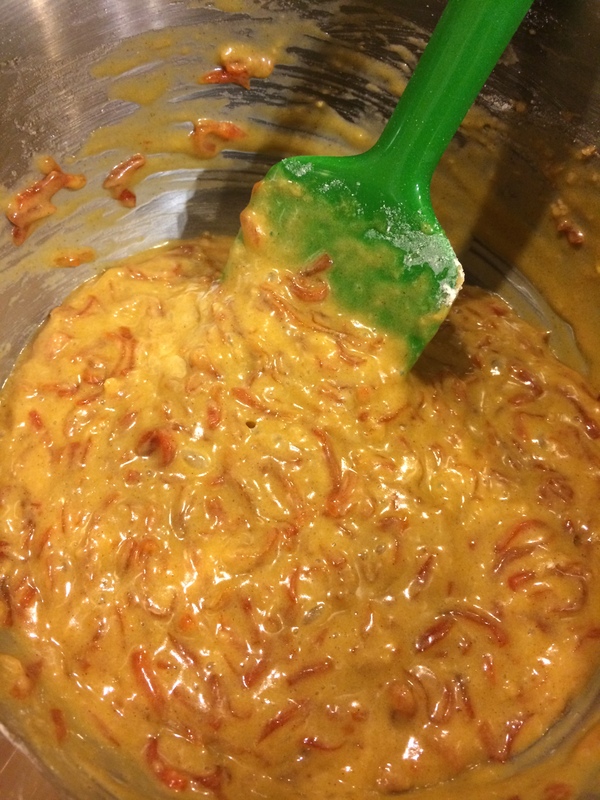 Fold the flour mixture into the carrot mixture. Don’t overmix. Pour the batter into loaf pan and bake at 350°F until done, about 30-40 minutes. A skewer inserted in the middle of the cake should come out clean. 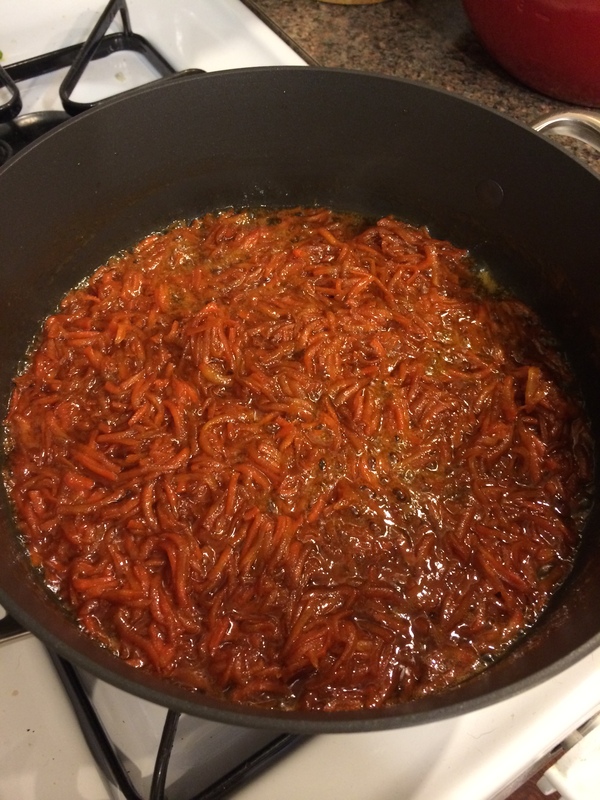 At first, this recipe was a little more labor-intensive than what I’m used to. First of all, I don’t really bake that much. I also rolled my eyes when I saw how much carrot I’d have to grate. But then I remembered, OMG, I have a food processor! I finally was able to use our engagement gift from Dave’s parents in a new way- the grating tool! Once I got it set up and peeled my carrots, it took literally 45 seconds. It was the easiest thing ever, I totally recommend doing this- it will save you so much time! 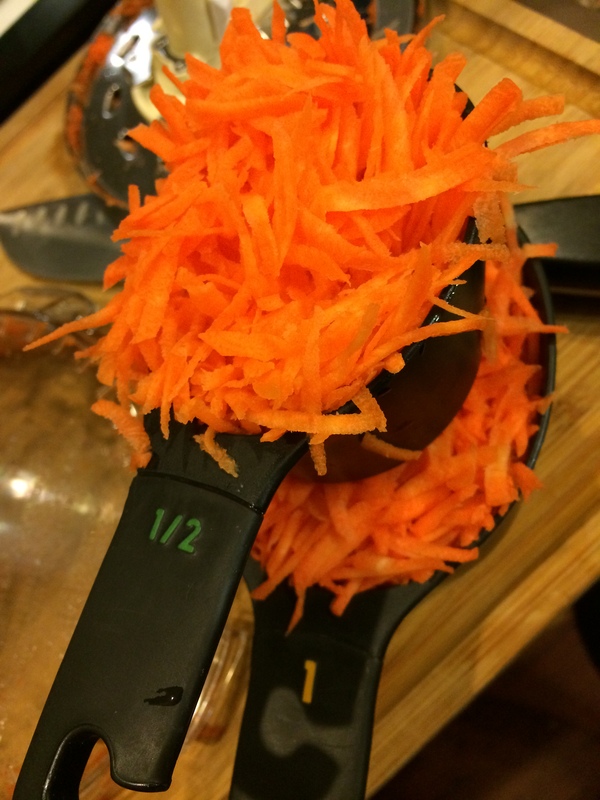 Once the carrots were grated, the rest was simple. 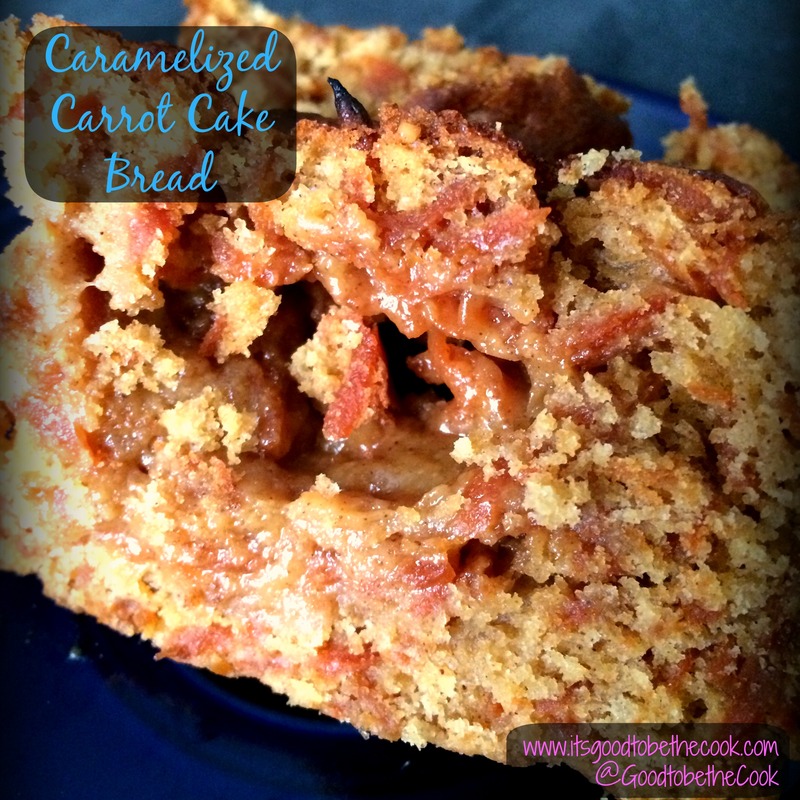 Cook up the sugar, add the butter, carrots, and make the bread. I should also tell you that you should make DOUBLE this recipe. You’re going to want to eat the whole loaf yourself, but also share one- it is one hell of an impressive recipe… show off your skills! Next time, I’m going to double AND make a little bit of cream cheese glaze to drizzle overtop. 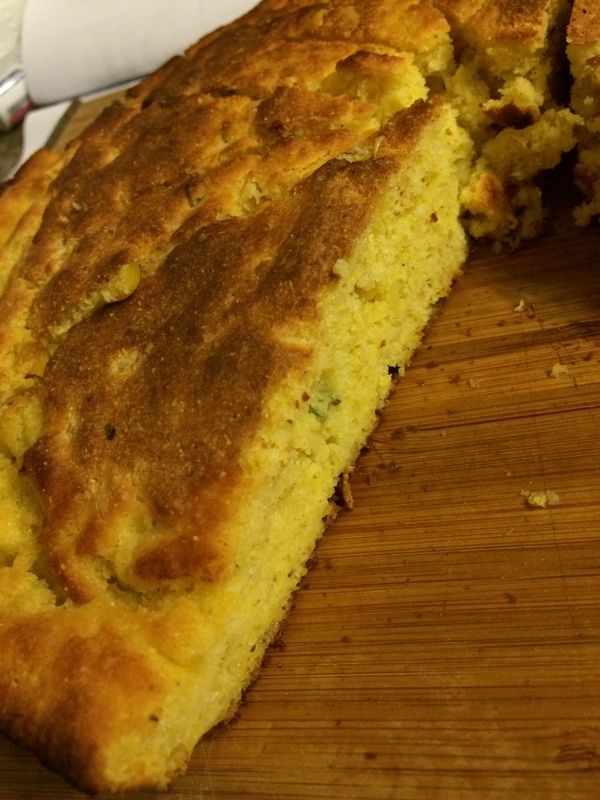 check out some of the other blogger’s recipes from this month’s SRC!